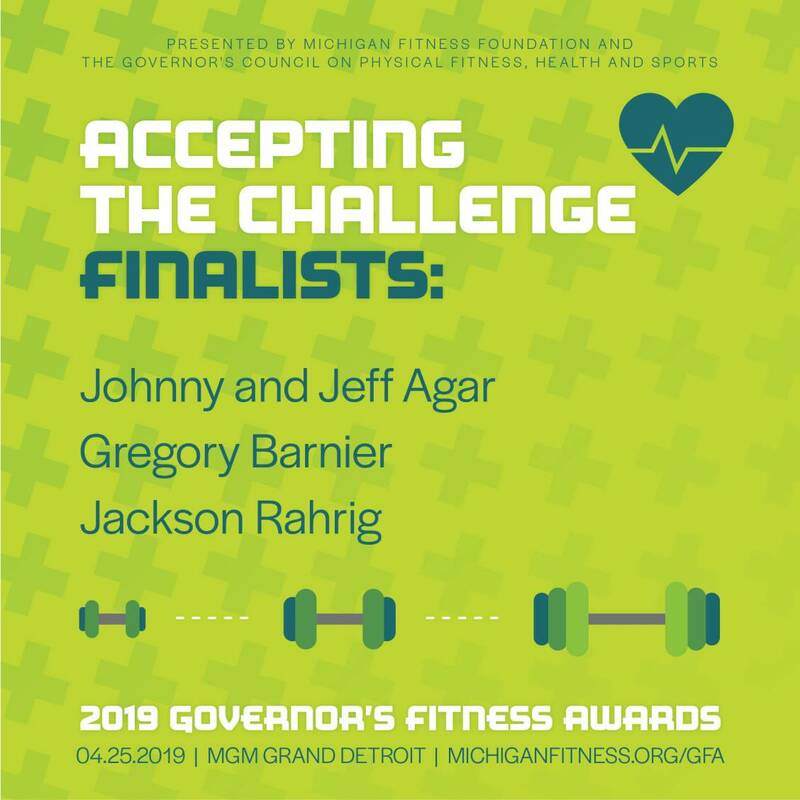 One finalist in each category will receive the Governor's Fitness award, and they will be recognized during the gala celebration at MGM Grand Detroit this April. LANSING, Mich. - March 14, 2019 - PRLog -- The Michigan Fitness Foundation announced the selection of finalists for the 2019 Governor's Fitness Awards (GFA) Charles T. Kuntzleman Accepting the Challenge award. "The Charles T. Kuntzleman Accepting the Challenge award recognizes individuals who have overcome extraordinary challenges to pursue a healthy and balanced life, and serve as a role model for others," shares Amy Ghannam, President and CEO of Michigan Fitness Foundation. "By recognizing and sharing their extraordinary stories, they influence us all to have a renewed vigor to make healthier choices. We invite citizens from across to state to join us at the MGM Grand on April 25 as we give our attention and gratitude to this year's GFA finalists."